This article offers great perspective as drivers in the first Indianapolis 500 predicted the winning speed average. More great insight to the personalities of these special men. 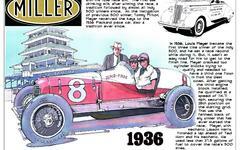 The article was published in the May 28, 1911 Indianapolis 500.